My server was eating up lot of physical memory and was crashing due to shortage of RAM . I was not able to resolve the issue for 2 days but file I came to know about a utility called RamMap from Microsoft , which I ran on my server. 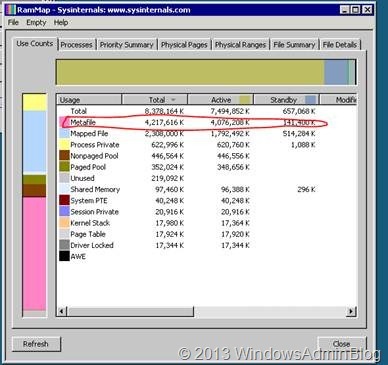 It revealed that metafile consuming the highest amount of RAM.